Social competency involves the social, emotional, and intellectual skills and behaviors needed for social adaptation. It involves the ability to use past experiences, social communication, emotional regulation, and intellectual reasoning successfully across different contexts. Social competency also looks very different in different stages of development. Our roles and responsibilities as speech-language pathologists in building social communication skills includes consultation, education, collaboration, and intervention. In this blog post, I want to share how you can use simple science experiments in your social language groups to facilitate social competency. 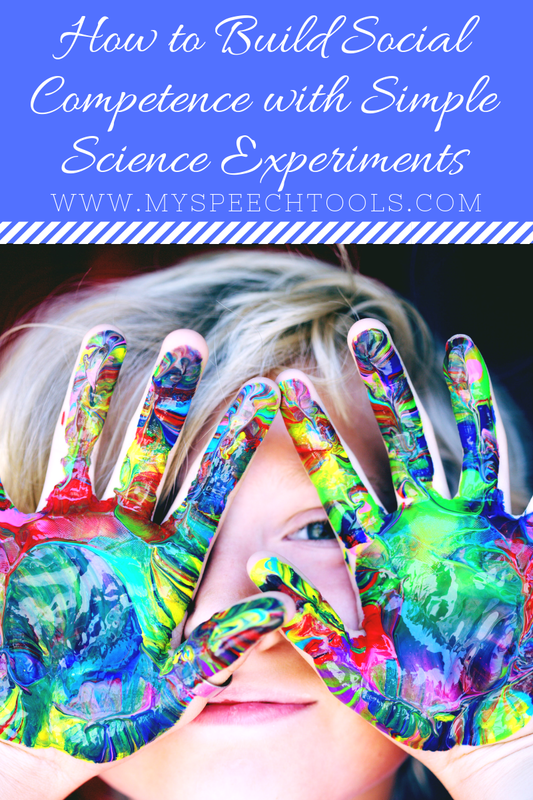 Science and STEM activities are easy and inexpensive to incorporate into your speech therapy sessions. Many of the materials needed can be found at home or school. Dancing raisins, the disappearing eggshell, slime, and vinegar/baking soda volcanoes are just a few experiments you can easily find on Pinterest. Not only are they FUN, but science experiments are rich in vocabulary, and spark extensive conversations. This erupting volcano photo was taken by my WTAMU graduate extern student during a simple pumpkin volcano experiment. 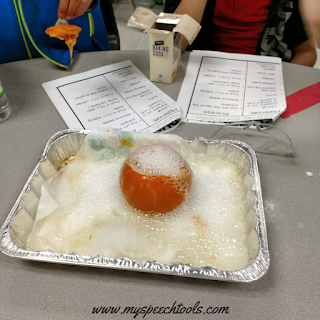 The experiment was the perfect conclusion to our fall pumpkin unit. Social Interaction-accessing a peer group, planning a group activity, cooperative learning, problem-solving, negotiating and flexible thinking, turn-taking, and conflict resolution. Social Cognition-initiation, joint attention, working memory, self-regulation, emotional regulation, organization, sustained attention, transitions, thoughts and feeling about others, and Theory of Mind (ToM). Pragmatics-Speech Acts (requests, comments, directives, etc. ), prosody, quantity and quality of speech, rules of a conversation, and non-verbal communication (facial expressions, gestures, body orientation, eye gaze). Language Processing-spoken and written language expression, and spoken and written language comprehension. How do you incorporate science and curriculum in your therapy sessions? Comment below if you have a favorite holiday or seasonal science experiment you would like to share. Don't forget to follow me on Facebook, Instagram, and Twitter. Sign up for my newsletter and receive notice of new product releases, free downloads, and peek into my therapy room each month.